Il 23 e 24 maggio presso il CNEL di Roma avrà luogo il Terzo Incontro dei Futuristi Italiani. This is the first meeting of the UNESCO Chairs explicitly addressing anticipation and futures literacy. The chairs' activities and their relevance for achieving the UNESCO's agenda will be discussed. 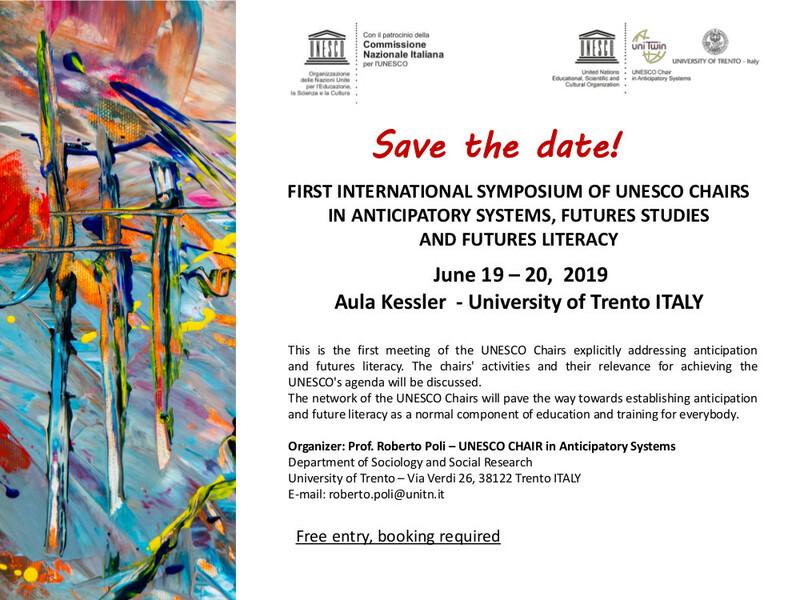 The network of the UNESCO Chairs will pave the way towards establishing anticipation and future literacy as a normal component of education and training for everybody.